About – Eagle Green Energy, Inc.
About Eagle Green Energy, Inc. Dairy and swine manure have long been used as substrate in digesters, but little attention has been given to poultry litter. 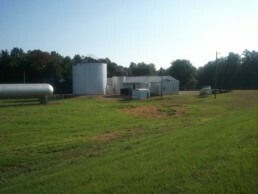 In 2006, John Logan, owner Mississippi-based Brinson Farms, partnered with leading scientists and engineers to design and construct a new generation of anaerobic digesters. While previous developers looked past chicken litter, Brinson Farm’s peer reviewed research showed that biogas potential from poultry manure was 2-3 times greater than that of dairy manure. In 2009, with support from the State of Mississippi, USDA, DOE, Mississippi State University and the University of Louisiana, Brinson Farms, and the newly formed Eagle Green Energy, began work on three development prototypes. These three on-farm units were working test sites to demonstrate scalability and energy potential based on the size of the farms, volume and quality of feedstock. 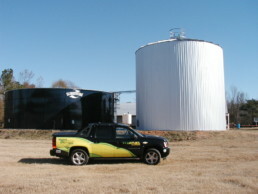 In 2010, Eagle Green Energy, Inc. was awarded a US patent on the “Method, Composition and Apparatus for High Temperature Production of Methane from Poultry Wastes.” The byproduct of this process is an organic solid and liquid fertilizer, the first in the United States to be made out of 100% digested poultry manure. EGE also creates a number of environmental benefits, from reducing the carbon footprint of large scale poultry operations to removing harmful nitrates that contaminate important waterways such as the Chesapeake Bay and Mississippi River Delta. John Logan is the Chairman and CEO for Eagle Green Energy, the leading producer of anaerobic poultry waste digesters. Logan holds a patent on a high temperature methane digester for broiler poultry waste, which produces pipeline quality methane gas and organic fertilizers. For 21 years, Logan has also been the owner and manager of Brinson Farms, a 980-acre family farm since 1860, producing poultry, beef, horses, hay, and timber. Logan also founded Algreen Organics, an organic fertilizer and composting company located in Prentiss, Mississippi, and Big Sky Guide and Outfitters, a big game hunting, fishing, day-trip, and skiing outfitter in Wilsall, Montana. 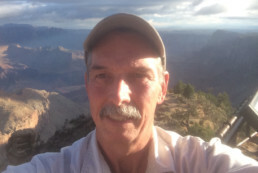 John served in the United States Army, retiring as a colonel (O6) after 38 years of service with the US Army Reserve and the Mississippi Army National Guard. He actively served during Vietnam, Desert Storm and Operation Iraqi Freedom. Logan was awarded the highest US Army award, The Legion of Merit and The Mississippi Magnolia Cross the highest honor awarded by the State of Mississippi. John has been married to his wife Bettye for 46 years. Together they have three daughters, Kristen, Jennifer, and Leigh, with four granddaughters and one grandson. John has an AA degree from Hinds Jr. College, a B.S. in Industrial Management and Computer Science from Mississippi State University, a M.S. in Industrial Education, and a M.B.A. from University of Southern Mississippi. Dr. Sumesh M. Arora, Ph.D.
Dr. Sumesh Arora currently serves as Director of the Energy and Natural Resources Division of the Mississippi Development Authority, where he works with state policymakers and other partners to develop and advance a comprehensive energy policy and ensure energy sector growth in Mississippi. He previously served as Vice President of Innovate Mississippi, a non-profit organization with a mission to drive innovation and technology based economic development in Mississippi. He also serves as Director of Strategic Biomass Solutions (SBS), a program of Innovate Mississippi that works to help commercialize renewable energy technologies nationwide by connecting entrepreneurs, investors and economic developers. Arora has 22 years of experience as a project development engineer and a researcher in the private and public sectors. Arora has played a key role in attracting over $550 million in advanced biofuels projects to Mississippi and launched the “Renewable Energy Venture Startup” (REVSup) program in late 2010. REVSup workshops have been conducted in nine locations from coast-to-coast and graduated about 125 individuals. He was recognized as “Top 40 Under 40” by the Mississippi Business Journal in 2005 and currently represents Mississippi on the Governors’ Biofuels Coalition through an appointment by former Governor Haley Barbour. He serves on the advisory boards of several energy related companies and investment entities and has over 50 professional presentations. Dr. Arora authored a book chapter on energy security and terrorism and is the co-inventor of a patented system to convert poultry litter into biogas. 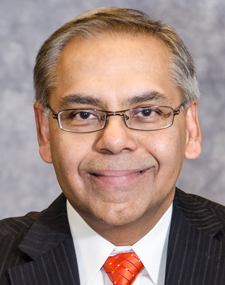 Arora has a Ph.D. in International Development from The University of Southern Mississippi and Masters and Bachelors in engineering from the University of Central Florida. Dr. Richard L. Vetter serves as president of Agri-Bio Systems, Inc. based in Elgin, Illinois. With nearly 60 years of experience in agricultural and food waste technologies, Dr. Vetter is a leading expert in anaerobic digestion and biogas utilization, processing, and value-added products. 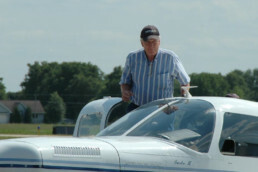 Dr. Vetter is credited with over 300 research papers, abstracts and technical bulletins. Vetter began his career in counter intelligence, serving in the United States Army. He later earned a B.A. in Agricultural Education and Animal Sciences and a MS in Animal Nutrition from the University of Illinois. He went on to earn his PhD in Biochemistry and Nutrition from the University of Wisconsin and a Post-doctorate in Plant Physiology and Biochemistry from the Institute of Animal Physiology from Cambridge University in the U.K.
Dr. Vetter began his career as a research scientist, Richardson-Merrill, where he focused on Nitro-furans in poultry and the effects on health and disease parameters. He went on to become a professor at Iowa State University from 1962-78 where he focused on a number of research areas including protein-energy relationships in the nutrition of ruminant animals; effects of feeds and nutrients on body composition; nutritional and toxicological evaluation of yeast and bacterial proteins in poultry, swine and humans; utilization of by-products and low quality feeds by ruminants; chemical and laboratory techniques for ensiling and evaluation of forages and grains for livestock feeding; fermentation studies of high moisture and reconstituted grains; cooperative research with agronomy on pasture and forages utilization by ruminants; role of selected proteins, lipids and tannins in alfalfa and their effects on bloat in ruminants; cooperative research with agricultural engineering on harvesting and processing crop residues for feeding ruminants; chemical and nutritional evaluation of animal and poultry wastes as animal feedstocks; methane production from animal wastes and crop residues. Dr. Vetter later joined A.O. Smith Harvestore as the Director of R&D from 1979-97. There he conducted cooperative international research with institutes in Germany and the UK. His research focused on Fraction I proteins and related effects on physiology of the rumen; grain reconstitution; chemistry of ensiled wilted forages; anaerobic digestion of animal wastes. Dr. Vetter designed and developed automated grain reconstitution systems for two 35,000 head beef feedlots in Australia in cooperation with Australian Harvestore Pty. He also coordinated a wide range of research activities at US Universities on feed storage and processing and, animal waste storage and processing. Dr. Mark Zappi, Ph.D., P.E. 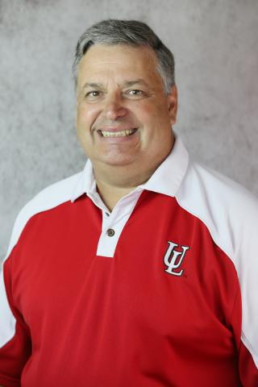 Dr. Mark Zappi is the Dean of Engineering at the University of Louisiana at Lafayette and a full professor of chemical engineering within the chemical engineering department. Before arriving at UL, Dr. Zappi was a member of the Dave C. Swalm School of Chemical Engineering at Mississippi State University where he held the Texas Olefins Professorship of Chemical Engineering. Prior to his tenure at MSU, he served as the head of the Bioprocessing and Chemical Oxidation R&D research team at the US Army Corps of Engineers Waterways Experiment Station in Vicksburg, MS.
Dr. Zappi has a BS in Civil Engineering from the University of Louisiana and a MS and PhD in Chemical Engineering from Mississippi State University. Dr. Zappi’s research areas include development of bioprocesses for the production of commodity and specialty chemicals, including ethanol, acetic acid, biodiesel, fatty acids, proteins, and biogas. He is also actively involved in the development of new bio-based products, such as cellulose-based adsorbents for treatment of polluted waste streams. Dr. Zappi holds three patents relating to bioprocessing and has two additional patents pending in the same subject area. Dr. Zappi served as the founder and Director of the Mississippi University Research Consortium for the Utilization of Biomass which was a DOE and State supported consortium composed of researchers from Mississippi State University, Jackson State University, University of Mississippi, and University of Southern Mississippi. This Consortium focused research toward the production of fuels and chemicals from both waste and cultured biomass products. Since his arrival at UL Lafayette, Dr. Zappi has been involved with the researching of innovative techniques for the production of biofuels and other chemicals. He is currently organizing a world-class R&D group at UL Lafayette to work with other institutions on the commercialization of renewable chemicals and fuels manufacturing. He is also currently working with several private companies on the commercialization of bio-based products and processes. Rob Shepard has over 30 years of power generation industry experience in the engineering, construction, asset management, operation and maintenance of gas, oil, renewable and coal fired power plants. He has managed and consulted owners on many major power plant outages and projects. Rob is the Owner and President of The Energy Group, PLLC and the Vice President and Co-Owner of IEM Energy Consultants, LLC, which is a joint venture company between TEG and IEM Energy Consultants, Inc. 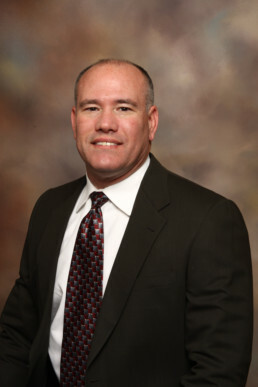 He provides leadership and consulting in asset management related services including Asset Management, Operation & Maintenance management, plant and management assessments, due diligence for acquisitions, plant feasibility and development, plant expansion, maintenance management, outage optimization, outage management, commissioning, troubleshooting and problem solving, and process improvements. Rob was a plant manager for 5 years at a 780 MW oil-fired plant for Entergy after working up through various engineering, operations and maintenance roles at other plants. Rob has worked with over 35 coal plants in the areas of due diligence, outage management, asset management and O&M consulting. Rob is still a hands-on professional, recently performing plant inspections, leading commissioning efforts, managing a gas turbine refurbishment, and supporting the development engineering of several large anaerobic digestion plants used for power generation and renewable natural gas. Rob has extensive experience in maintenance management, maintenance practices, outage management and generally accepted industry practices for utility boilers and power plants. He has experience as an expert witness in these areas as well. Eric Shafer designs anaerobic digesters and biogas scrubbing equipment. He is the owner and CEO of Southern Bio-Gas Systems, LLC and also owns Shafer Products Company, which manufactures a range of industrial cleaning products. Mr. Shafer is also a poultry farmer and for the past 14 years has contracted to grow for Sanderson Farms. He has worked with John Logan and Eagle Green Energy, Inc. since the initial concept for an anaerobic digester for poultry litter was conceived, designed and developed. After he and Logan completed the first digester at Brinson Farms in Prentiss, MS, the second prototype was built on the Shafer Farm located in Osyka, MS. The second project included updated design modifications and improved technologies. Shafer Farm reconfirmed the anticipated benefits of a customized closed loop system. From energy savings to the production of marketable high-quality organic solid and liquid fertilizers, the system also improved nutrient management and reduced the overall emissions of the farm operation.